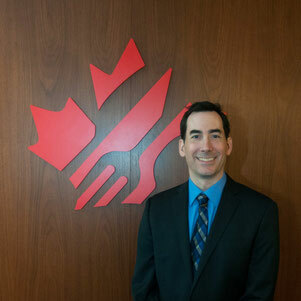 As the Senior Economist for Restaurants Canada, Chris Elliott manages and produces a comprehensive research program that has made Restaurants Canada a leading source of information for and about Canada’s $85-billion foodservice industry. Chris produces a number of member reports that analyze key industry trends and economic forecasts. He also provides research to support Restaurants Canada’s lobbying efforts on issues that affect foodservice operators – from payroll taxes to food costs. Chris has worked with Restaurants Canada for 19 years, has a Bachelor of Arts and Master Degree in Economics and specializes in economic modeling and forecasting. Since its founding in 1944, Restaurants Canada has grown to represent 30,000 businesses in every segment of the foodservice industry, including restaurants, bars, clubs, cafeterias, and contract and social caterers. Through advocacy, research, member savings and industry events, we help our members in every Canadian community grow and prosper.